Big thank you to David at signsservicesltd for supply and fit of our new signage! 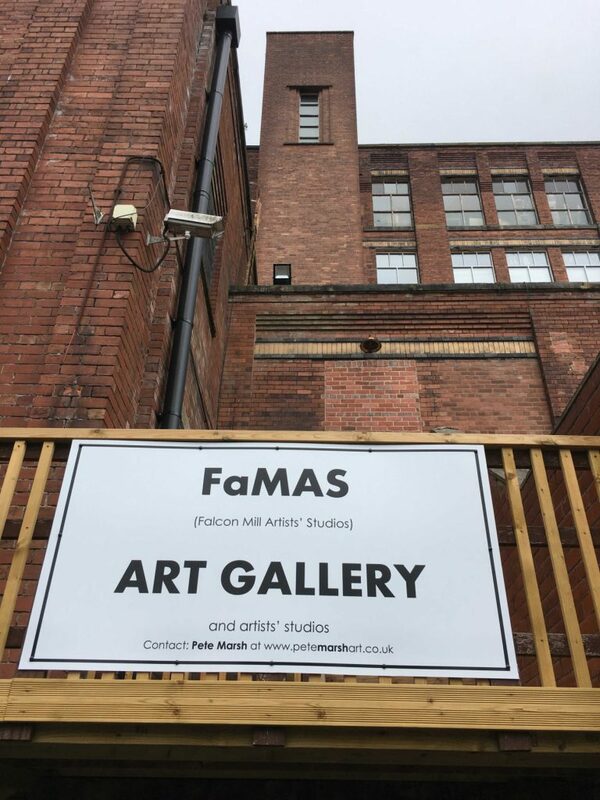 Find FaMAS Art Gallery (and artists’ studios) on Google Maps and on arrival at the car-park at Falcon Mill look out for the sign on the large wooden staircase….we are at the top of the stairs…alternatively contact me at https://petemarshart.co.uk/contact/ or the artist you wish to visit directly to arrange access to the lift. 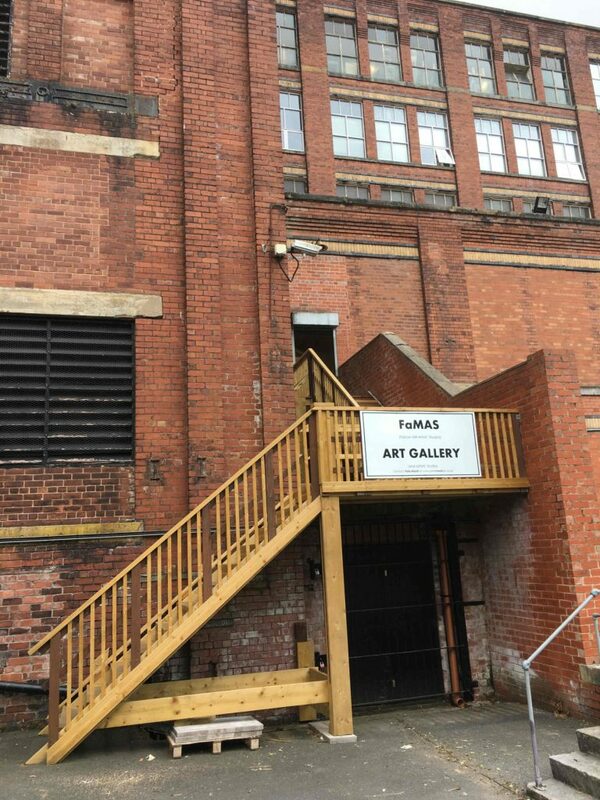 Unit 2, Britannia Works, Folds Road (off Mill St Street), Bolton BL1 2SE.